Fredrik Yderström started to train martial arts from an early age. 1991 he joined Tallkrogens Karate Club in Sweden and got his 1 Dan 1996. 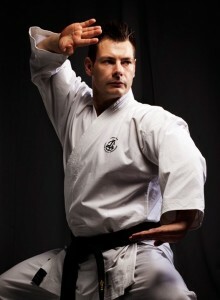 Fredrik became an integral part of the instructor team, teaching both children’s and adults’ classes. He went on to take 2 Dan in 2004. From 1998 he started to study Wushu at Beijing Sports University and took a BA-degree and masters degree within this field. He´s been working as a teacher sence 1996, both in Sweden and in China; teaching general classes, PE and as a support teacher for children with special needs.